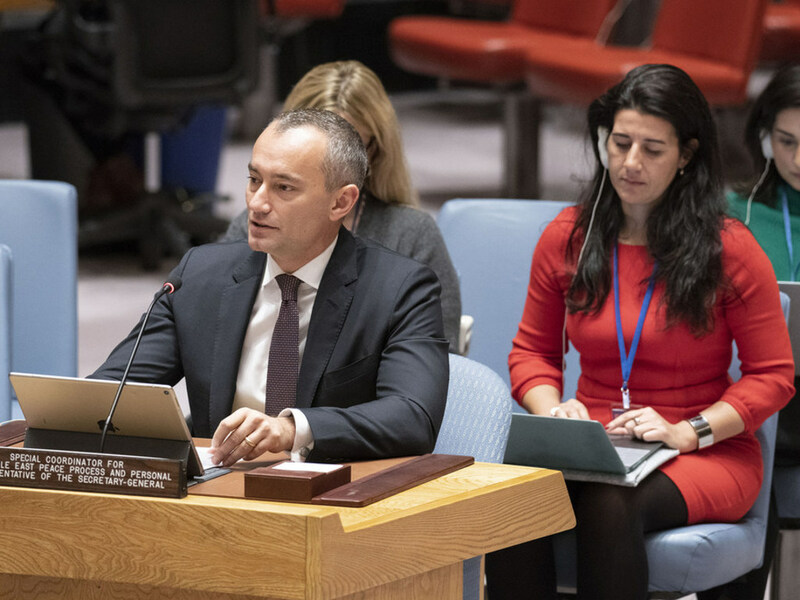 Nickolay Mladenov, Special Coordinator for the Middle East Peace Process, briefs the Security Council on the situation in the Middle East. Recent violence and rising tensions in the West Bank are fueling a climate of hatred and fear, “driving both Israelis and Palestinians further away” from a resolution to the conflict, the United Nations envoy for the Middle East Peace Process has said. 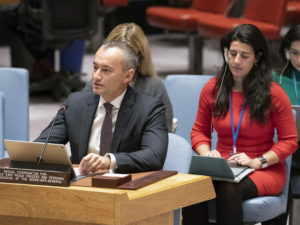 On the humanitarian side, efforts to provide essential support to vulnerable Palestinians are severely hampered by rising needs, severe funding cuts, restrictions in operating space and attempts to “delegitimize” reputable relief organizations, Mr. Mladenov said, urging the international community to support the Humanitarian Response Plan for the region into 2019.